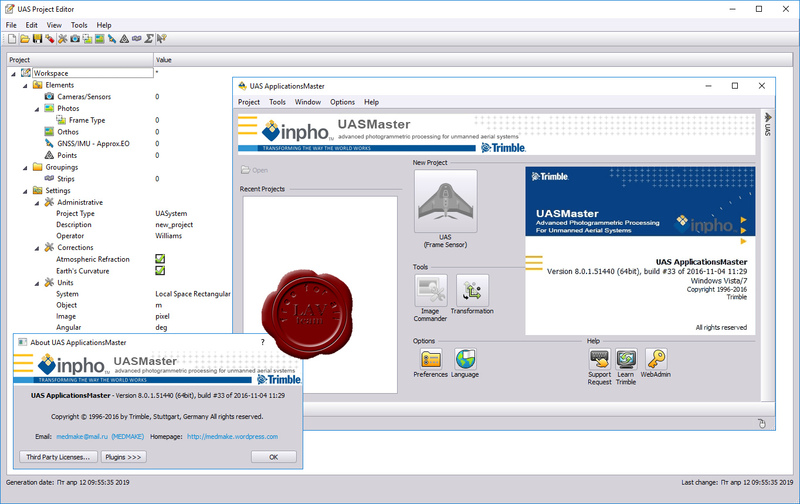 Based on state‐of‐the‐art Trimble Inpho technology, known for 30 years of digital aerial photogrammetry leadership the new UASMaster module is bridging the gap between simple near black‐box workflows for non‐photogrammetrists and photogrammetry expert workflows. It combines very intuitive guided workflows with flexibility, highly effective interactive editing tools and thorough quality assurance reports required by the advanced user. UASMaster has an open market concept and therefore is able to process data from almost every hardware vendor for UAS. It works with fixed wing vehicles as well as with helicopter‐type aircraft. The software proved successful processing even with survey‐balloons and other types of unmanned aerial systems. UASMaster includes advanced technology that has been customized to provide high quality results from the special characteristics of UAS data. The incorporation of specialized computer‐vision algorithms produces very accurate results automatically, with minimal manual interaction. The technology is optimized for UAS with GPS support (recommended accuracy +/‐ 10m). This ensures a stable and reliable photogrammetric system delivering excellent results without requiring specialized photogrammetry knowledge or experience.